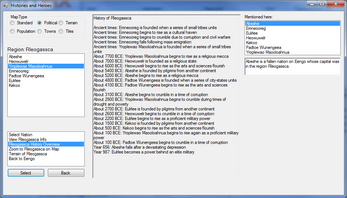 Histories and Heroes is a tool that procedurally generates fantasy worlds and allows you to explore and progress these worlds. In 2014, this project was rebooted as LoreGen, but you can still download the old version for free. 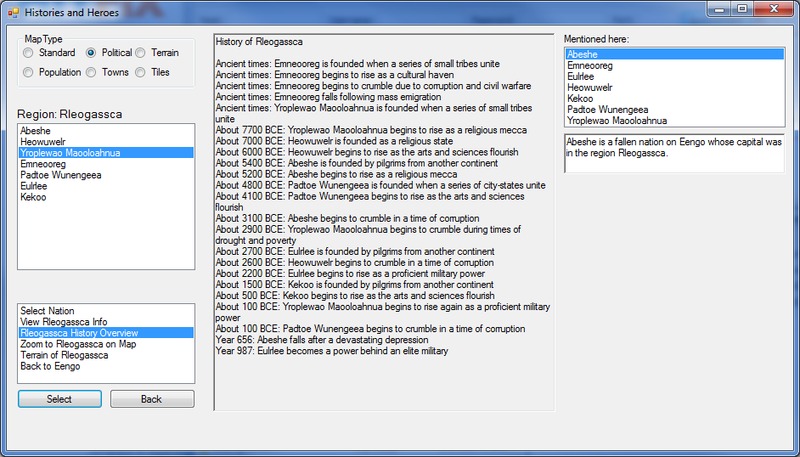 Histories and Heroes uses two windows, so it works best on computers with large displays or two displays. Also included is a basic "Hero Sandbox" tool that allows you to navigate the world as if you are a traveling hero. 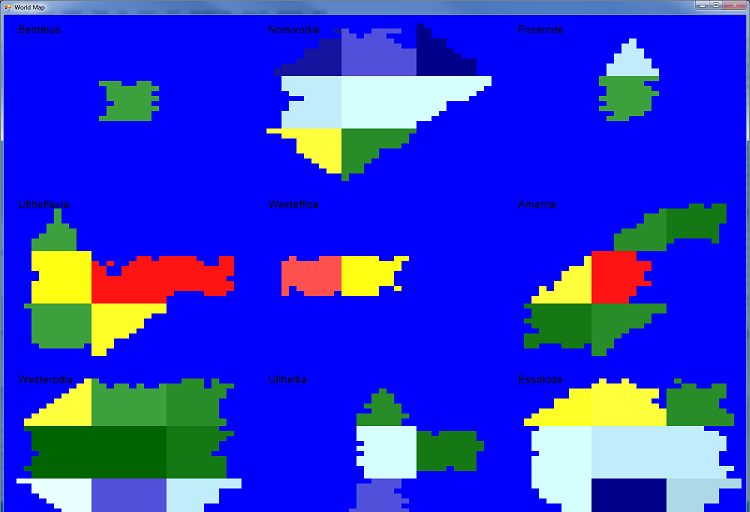 This is version 0.95, and is the last version that will be released. Visit the Histories and Heroes web site to learn more about this project.